Home / Education / How Do You Take CBD? There are various ways to take CBD. Whether you prefer a topical, edible, or vape may depend on our intended use. CBD oil is beginning to build a positive reputation due to its natural balancing effects and health benefits on the body. As information continues to surface, more and more scientists and healthcare providers are supporting the use of CBD. Behind CBD’s increasing popularity is the reality of the cannabis-derivative’s wide range of health benefits. CBD does not produce any mind-altering effects and offers a sober, safe, and legal way to obtain the many health benefits associated with the cannabis plant. It is now widely used in medical treatments, health supplements, and even beauty and pet products. Science has confirmed that cannabis is an effective pain reliever, reinforced in an expansive new report from the National Academies of Sciences, Engineering and Medicine. 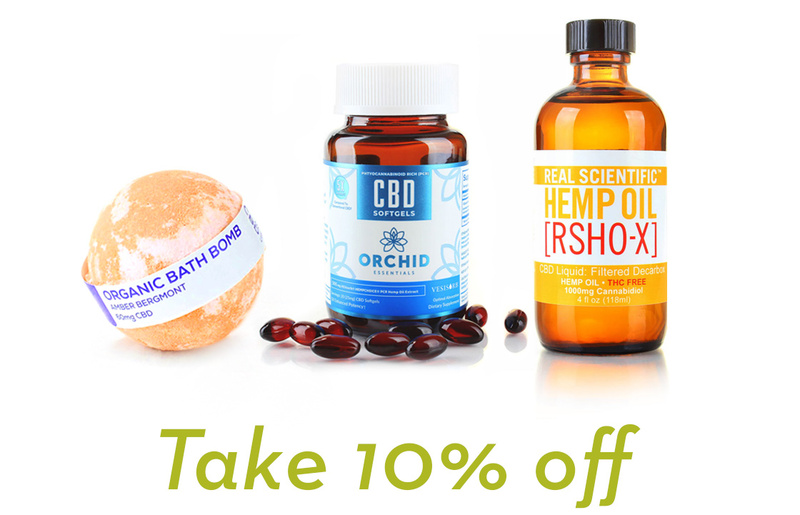 Here is a look at some of the ways CBD is currently being used, including CBD oil, tincture, topicals, edibles, vapes, beauty products, pet products, and more. CBD can be used as an infused topical ointment or cream. This is done by infusing high-quality hemp CBD extract into various kinds of quality oils. The oil is then blended with other helpful ingredients and natural pain-relievers like arnica and lemongrass. CBD is a potent antioxidant that can protect your skin from dirt, ultraviolet rays, and environmental pollutants. When applied to the skin, cannabidoil products can help alleviate problems such as inflammation, acne, warts, moles, fine lines, wrinkles, psoriasis and more. Topicals can also be used to treat muscle and joint pain. Lotions, Creams, Ointments – These products are effective for alleviating dryness, itchiness, rashes, burns, and inflammation. Balms and Salves – Since they contain a higher concentration of CBD, balms and salves are commonly used for healing cuts and wounds. They can be made up of one to three percent CBD. Oils and Tinctures – Oils and tinctures tend to be more potent, making them a great choice for deeper healing. They usually contain anywhere from 10 to 30 percent CBD. Patches – Use CBD patches if you are suffering from severe and chronic pain. They can deliver CBD straight to your bloodstream for faster, longer, and more effective healing. CBD content in one patch is usually between 30 to 50 milligrams. Gel Pens – Gel pens are dispenser pens which users apply to their wrists, ankles, or temples to help ease muscle spasms and other aches. They are a great way to use CBD on the go, providing quick relief. Topical CBD is applied directly to the affected area. If you choose to use CBD topically, it is important to choose products that consist of nanonized, encapsulated, or micellized CBD. These products contain CBD that penetrates the derma layers of the skin, rather than just staying on the surface. If you read the ingredient list, often everything in the jar or bottle comes straight from Mother Earth. Several neurophysiologists researching cannabinoid biology and pharmacology claim that natural topical formulas can be safe and therapeutic, as long as the cream you’re considering comes from a verified source and does not contain more than the legal 0.3% trace amounts of THC. It is important to note that most creams are formulated to be topical. This means that they absorb into the top layer of the skin. Because of this, CBD topicals cannot produce any mind-altering effects. It is recommended that you use topical CBD the same way you use other body care products. Use it whenwhenever you feel it is necessary. Apply generously to the affected area the way you would with any other topical cream. CBD can also be orally ingested. Unlike topical CBD, which usually only heals the skin and areas near the skin’s surface, ingestible CBD allows the cannabinoid to enter your bloodstream and benefit different functions and systems inside the body. It enables you to obtain all the physiological benefits of CBD, ranging from mood and appetite enhancement to improved blood pressure and metabolism. However, it does not provide area-focused healing. When you ingest CBD oil, it passes through the digestive system and is metabolized by the liver, eventually sending its active compounds to your bloodstream. This form of distribution is exactly how vitamins and other daily supplements are taken and absorbed in the body. Common ingestible CBD oil products include capsules, edibles and beverages. Capsules (like vitamins or other daily supplements in pill form), can be easily swallowed with a drink of water. They are said to be the most efficient way to take CBD. CBD oil can also be infused or mixed into a variety of edibles and beverages including coffee and tea. Sprays – Sprays generally have the lowest concentration of CBD, ranging from one to three milligrams in each spray. However, it is very travel-friendly because of its ease of use and portability. 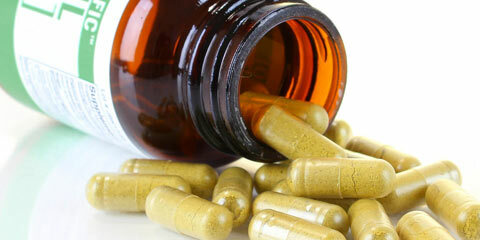 Capsules – Capsules are mostly consumed as a daily supplement for boosting overall health. One capsule typically offers 10 to 25 milligrams of CBD. Oils and Tinctures – Oils and tinctures are the most common method of using CBD. They can be consumed orally by being placed under the tongue or applied topically. CBD content in each serving can vary greatly, ranging from five to 100 milligrams or more. Concentrates and Isolates – Concentrates and isolates contain the highest concentration of CBD, which can be up to 10 times more than other CBD products. They can often contain up to 99% CBD or more. Concentrates and isolates are often used by mixing them into edibles, adding them to cannabis flower when smoking, or smoking them directly by themselves. Since they are in a concentrated form isolated from all additional compounds and plant matter, very little is needed to obtain the positive effects. Edibles – These products enable you to get the benefits of CBD while satisfying your appetite or sweet tooth. Forms of edibles include candies, gummies, chocolates, honey sticks and more. They usually only offer five to 10 milligrams of CBD per piece, but some varieties may have a higher content. Beverages – CBD-containing beverages come in many different forms, including bottled water, soda, energy drinks, juices, coffee, beer and wine. Their CBD content can vary significantly, from five to 30 milligrams. Most ingestible CBD products are taken the same way you consume food and beverages. Oils and tinctures, on the other hand, have to be placed on or under your tongue before swallowing. Many oils and tinctures come with a dropper for convenient consumption. Before you buy or use ingestible CBD products, it is important to read their labels to find out how much CBD they contain. Choose the products that provide the amount of CBD your needs require. When it comes to taking CBD, vaping and smoking are not as widely practiced as ingestion. This likely is because it is a less convenient method. However, CBD vape products provide stealthy and immediate effects, and they allow you to adjust each serving to suit your needs. They can be especially effective for treating anxiety, pain, seizures, multiple sclerosis, and Parkinson’s disease. CBD vaping or smoking works like this: A vaporizer heats CBD oil just enough to release its active (or most efficient) compounds, avoiding harmful byproducts that are created with combustion. During vaporization, CBD enters your lungs and diffuses directly into your bloodstream. Because CBD doesn’t have to do the extra work of making its way through the digestive system or liver, it enters your circulation faster, providing immediate relief. It is also important to note that less CBD is lost during the vape method compared to ingesting. CBD oil products designed specifically for vaping or smoking include CBD e-liquid, which contains CBD oil infused with vegetable glycerin, or VG. These products are most commonly seen as battery-powered portable pens. Vape Cartridges – Cartridges provide an easy and convenient way to vape CBD. The CBD content in each cartridge can range from 50 to 1,000 milligrams, but a normal cartridge usually offers between 150 to 500 milligrams. Vape cartridges can be flavored or scented. Cannabis Flowers – There are hemp and marijuana strains that are specially bred and cultivated to produce high concentrations of CBD and minimal amounts of THC. Vaping or smoking the flowers from these plants will give you the benefits of CBD with minimal psychoactive effects. Concentrates and Isolates – As mentioned earlier, concentrates and isolates contain very high levels of CBD. Besides ingesting them, you can also smoke or vape them in liquid and solid forms such as oils, dabs, waxes, and crystals. In order to vape CBD, you need to have a vape pen, e-cigarette, or vaporizer. Add CBD to the vaping device, heat it, and inhale. If you are smoking or vaping cannabis flower, concentrates, or isolates, it is essential to make sure you are using the right kind of vaporizer, because some forms of CBD may require specially designed devices. In addition to its anti-anxiety and antidepressant effects, CBD is increasingly being used as an ingredient in beauty products. You can find a wide range of beauty and skincare products that contain this cannabinoid, including soaps, lotions, creams, moisturizers, cosmetics, and hair care products. The most notable benefits in regard to the beauty industry come from topical products like body lotions and balms, with its infamous anti-inflammatory properties being an excellent source for treating irritated skin conditions like eczema. Some studies have produced evidence that cannabinoids contain anti-aging and antioxidant properties, helping to regulate common conditions like dry skin, acne, and fine lines, as well as improvement of the overall health of the skin. Additionally, CBD can enhance blood circulation and provide moisture to your scalp. Using beauty products that contain CBD during winter is especially helpful due to the combination of cold outdoor air and indoor heating systems, which are notorious for drying out the skin and hair. The therapeutic effects of CBD aren’t just beneficial for humans; CBD can also do wonders for your animal companion. This is because all mammals have an endocannabinoid system (ECS). This means that your pet can likely benefit from CBD in the same way you do. The most common applications for CBD pet products is pain relief, mood regulation, and joint pain. By interacting with cannabinoid receptors found in the central nervous system and immune system, CBD supports the endocannabinoid system’s efforts to keep pets’ bodies and functions in balance. For pets, the cannabinoid can alleviate pain, inflammation, arthritis and seizures, as well as improve appetite and behavior. There is a wide range of CBD-infused pet products for pet owners to choose from, including capsules, tinctures, oils, topicals, food mixes, treats and shampoos. Pet owners are finding CBD oil supplements to be a natural alternative to promote well-being in their cats, dogs, and other pets. The natural wellness properties of CBD communicate with the endocannabinoid system to promote healthy joint and cardiovascular function for your pet. CBD is a great supplement for pets who struggle with anxiety while their owners are away. When animals exhibit anxious behavior they often do things like tear up furniture or other belongings. In addition to this, CBD can help your furry friend relax during loud noises such as storms or fireworks. High energy pets can benefit from the calming effects of CBD. It can help pets sleep and de-stress during periods of travel.